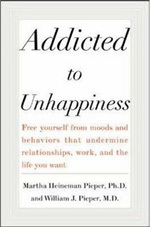 strategies that will help anyone choose and maintain the happiness he or she deserves. to parenting. 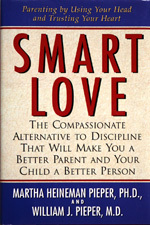 A recorded books edition of Smart Love can be found at Recordedbooks.com. This endearing children’s story helps children and parents alike make sense of the nearly universal experience of having a bad dream. 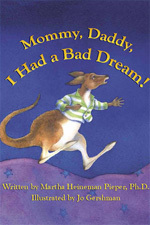 Winner of the bronze award from the Independent Publisher (IPPY) in the National Category of Children’s Books and the Mom's Choice Awards Highest Honor: Gold Seal of Excellence, this story tells of Joey, a happy bouncy kangaroo, who has a series of bad dreams and how his parents lovingly help him understand them. “Dreams are stories we tell ourselves for a reason,” says Joey’s father. Children will be fascinated and enlightened as Joey learns to put himself back to sleep feeling comforted and in charge. This groundbreaking book provides readers with a unified and inclusive theory of paradigmatic human experience, psychopathology, and psychological treatment. 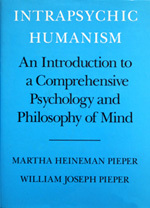 Intrapsychic Humanism presents a uniquely positive view of human nature. “ This is a groundbreaking new approach to personality development and the etiology, nature, and treatment of psychopathology. It is also conceptually innovative in that it breaks in several respects with features of the philosophical tradition. Most notably, it rejects the solipsism and rigid 1st person-3rd person (subjective-objective, inner self-outer world) dichotomy that has been both the dogma and the scandal of philosophy since Descartes. In this theory, the paradigmatic (or ideal) development of the child is founded on the establishment of a fundamental care-giving relationship between parent and child which, in development, yields a robust sense of self as agent, appropriate boundaries and relationships between that self and other persons and inanimate objects in the external world, and transforms the self into a competent care-giver. The causal and generative immediacy of this relationship bridges and voids the traditional gap between 1st and 3rd person, and places embodied, interacting, socialized selves in the world in a way that eliminates many traditional epistemological and ontological problems concerning the self.